The respiratory therapist's at Jeff Davis Hospital are here to serve you and aid your physicians in diagnosing and treating your condition quickly. Jeff Davis Hospital's respiratory therapy department offers brand new state-of-the-art equipment to perform ventilator care, pulmonary function testing, blood gas machine with quick and efficient analysis, non-invasive ventilation, EKG testing and other services to provide high quality treatment for patients living with lung disease and other respiratory illness. 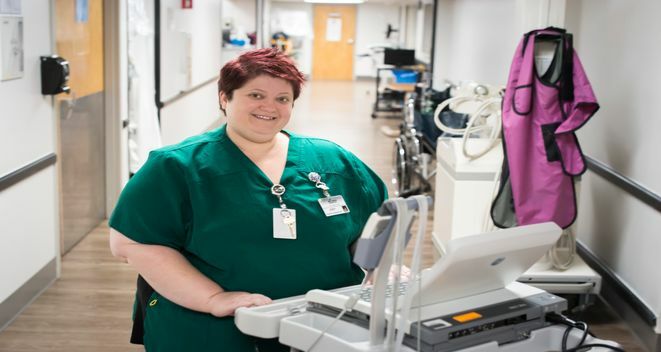 Respiratory therapists are a vital part of the patient care team. We are a trained staff of both Certified and Registered Respiratory Therapists. We make sure you receive the best standard of care. We are all trained in Advanced Cardiac Life Support (ACLS), Pediatric Advanced Life Support (PALS), Neonatal Resuscitation Program (NRP), and Basic Life Support (BLS). RT's work in all areas of care and are first responders to acute crises throughout the hospital. RT's provide care to a diverse patient population from infants to elderly. Patients in need of respiratory therapy are often those suffering with asthma, chronic obstructive pulmonary disease, cystic fibrosis, lung cancer, respiratory failure, as well as pneumonia, bronchitis or other lung-related conditions.